I think we should help sponsor women already working in AI, so that they can focus on their research and their work while also having the opportunity to participate in communication actions (share their work, give talks) and not spend their time looking for funding (because as I said, we can’t do everything!). Also, sponsoring women in tech meetups and diversity scholarships could be an important way to demonstrate the awareness of diversity equality. As part of my series about the women leading the Artificial Intelligence industry, I had the pleasure of interviewing Julie Josse, a professor of Statistics at École Polytechnique specializing in missing data and causal inference. Her main field of application is public health. 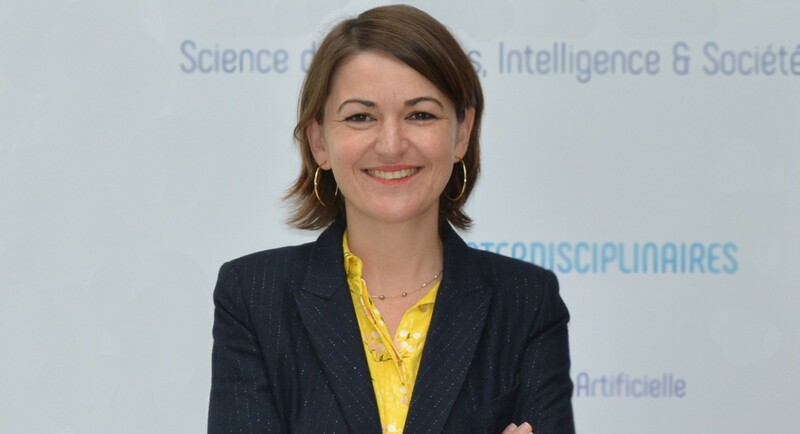 At École Polytechnique, she is responsible for Data Science for the Business Master’s program, in collaboration with HEC. She has published over 30 articles and written 2 books in applied statistics. 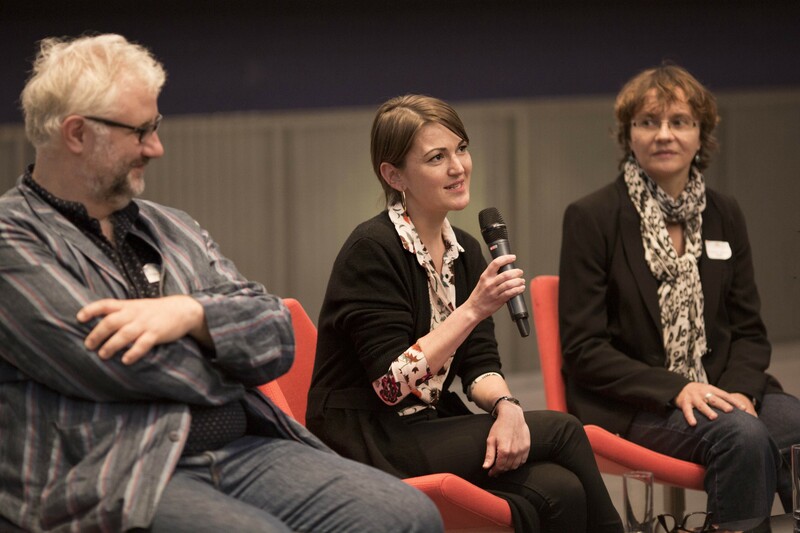 Her experience on dealing with incomplete data is recognized by the community: she organized the MissData conference on missing value in 2015 and she is often invited to give lectures to share her experience. Her goal is to push methodological innovation to bring useful application of her research to the user, in particular in bio-sciences and health. Julie Josse is dedicated to reproducible research using the statistical software, ‘R’: she has developed packages including FactoMineR, denoiseR, missMDA to transfer her work. She is a member of the R foundation and of Rforwards to increase the participation of minorities in the community. Julie grew up in Africa and French Polynesia before settling down just outside of Paris. She is passionate about statistics but also about travelling (often on horseback) around the world. She is also fascinated by nature and science. She has a particular interest in humanitarian issues and her long-term goal is to use more of her skills towards this purpose. As a child, I always liked mathematics and always worked hard, but I had no clear idea of what I wanted to do and above all, I had no idea of all the possibilities offered by mathematics in a broader sense. I think that my career path is the result of encounters that have allowed me to broaden my horizons and discover the beauty and richness of this discipline. This is probably why I attach so much importance to the teaching component of my work as a teacher-researcher, because you can be so moved by teachers. I found my calling a bit late because it was at the end of my bachelor’s degree and master’s degree that teachers offered me the opportunity to do a research internship, and that’s when it all began, it fascinates me. For me, the first point is that an atypical journey is not an obstacle in your professional life. I did not necessarily follow the most classic path to get to where I am now, but I think that diversity is always important in any environment and that a variety of profiles is of great value. A quote to this effect, from John Chambers, who is behind a widely used data science software “R”, once said, “The best future is one of variety, not uniformity”. Secondly, even if we don’t follow the current fad, we can do it. I think the most important thing is to do what motivates us intrinsically, what we believe in, what we are passionate about, even if it is not always valued by our environment. There are incredible trend effects in many professions, themes can be in style at one point and then disappear at another, etc… so it is better to follow your passion and you will do it well. Thirdly, with determination and willingness, we can do a lot and have more and more ambitious projects, but we must not forget that this often comes with a lot of work as well. Finally, never lose confidence and keep going. For a few years now, I have been working in collaboration with the Traumabase group from the Paris hospital on the project TraumaMatrix. Major trauma is defined as any injury that endangers the life or the functional integrity of a person. The Global Burden of Disease working group of the World Health Organization (WHO) has recently shown that major trauma in its various manifestations (e.g., from road traffic accidents, interpersonal violence, self-harm due to falls) is the leading cause of death among young people and the second leading cause of disability in the world. The classic pathway of a traumatized patient takes place in several stages: from the site of the accident where the patient is taken care of by the ambulance to the transfer to an intensive care unit (ICU) for immediate interventions and finally to the comprehensive care at the hospital. To be effective, patient management protocols require standardization and reproducibility. They also require adjustments to the individual patient, clinical context, organizational context, and the trauma system (e.g., personalized procedures, adapted to the situation and the person). In addition, timely management of trauma is critical to improving outcomes, given the high risks for the patient in case of delays or errors. It is crucial to make the right decision at the right time. However, current decisions are not necessarily reproducible and due to this complexity, man may make errors. This can be explained because decision-making in trauma care is particularly demanding. It requires rapid and complex decisions under pressure in a very dynamic and multi-player environment characterized by high levels of uncertainty and stress. Trauma care is also affected by fragmentation which is the result of loss or deformation of information. In order to respond to this health challenge, we have the ambitious goal of developing TraumaMatrix, an integrative, interactive decision support and information management solution for clinicians throughout the first 24 hours of major trauma management. TraumaMatrix will be a platform providing ergonomic, real-time decision-support to a broad range of clinicians. It makes use of advanced statistical tools and machine learning algorithms (using a very detailed clinical data base) and articulates these with existing clinical recommendations in order to enhance clinician-driven decision-making. The platform will streamline the care process to make it patient-centered and facilitate information sharing among all professionals involved (dispatchers, nurses, anesthesiologists, radiologists, surgeons, blood bank specialists, etc). Such a tool is not intended to become a substitute to human-decision making but rather accompany clinicians and professionals to create a synergy. It is exciting work because it is carried out in collaboration with many partners, doctors and researchers from different fields, from mathematics to computer sciences and cognitive sciences. The aim is to provide a decision-making tool to improve the future of patients and help save lives, especially for the two main causes of death, hemorrhage and traumatic brain injury. I enjoy being fully involved on all levels of this project, whether it means collecting data, analyzing it, suggesting machine learning models, deploying them in real time or taking human-machine interaction into account in order to propose operational solutions. In addition, it helps inform research and could lead to many other scientific developments. However, as is often the case, we need money and support to be able to implement our project. This project is incredible because it was initiated by practitioners in the field who thought there was an untapped potential for information and who encouraged and organized the collection of all this data. We are now a small team working on this project and everyone is dedicated and motivated by the societal impact of it. But the ambition of this project requires the means to deploy it, especially human resources. Therefore, I am very fortunate to have brilliant students at Polytechnique, who help me with this project on a voluntary basis and who continue to work on it even when they leave school. Of course, we wouldn’t be here without help. In my journey, there is not just one person but several who have had an important role in my life. I think first of all of the family environment, I could never have done all this without the support of my family. I talked to my mother about it and in a very touching way she told me, “No, you really did it yourself,” but just the fact that I could go home on the weekend, when I was tired and working hard, was priceless. Otherwise, several colleagues who became friends had a major role in my life because they always supported me and my choice in a non-judgmental way and were present at all stages. One colleague played a very important role for me because I had applied for an award, and my subject was maybe less popular than others, or I was completely unknown as an expert, but this person helped me win that award simply by saying “Trust me, she can do things”. And in fact, it has been a trigger in my career because a first recognition opens many doors, after which we must of course show that we deserve it, but just having the opportunity to show it is decisive. Of course, this colleague didn’t reveal this to me until years later. Finally, there is also an eminent researcher, who helped me a lot without knowing it, simply by their kindness. One day, when it must have been difficult because I was discovering a whole new world with many eminent researchers, this particular researcher had simply told me “Keep going”…and that really stuck with me. 1.I think that, in collaboration with many other disciplines, it can help to design solutions for the major challenges of our planet such as climate change, species diversity and extinction, and more. Indeed, these are global, complex problems with many interactions, which require the analysis of global data. The exploitation of large, diverse, multisource data requires advanced technologies and domain expertise. 2. I think that it will allow really concrete and rapid progress in different fields. The medical field is one where considerable progress has already been made. One popular example was the detection of diabetic retinal disease using the major advances for automatic classification of images. I hope it can also be useful for education. For example, it is hoped that the creation of virtual environments and visualization can help to better understand natural spaces, planets, etc. With regard to planets in particular, recently there was the biggest ever release of astronomical data, I look forward to seeing all the discoveries it brings. 3. AI can also enable so-called emerging countries such as Africa to change their positioning in the world. There are many initiatives being created and we can really hope that this will give them new opportunities to help developments and become major players in the world. 4. With the new data paradigm, AI can also transform the way science is done. Science seems to have become more and more compartmentalized by discipline but AI can reshuffle the cards and return to what was done before. We could revisit a time when scientists from different fields (philosophers, mathematicians, biologists, etc.) exchanged knowledge to unravel the great mysteries of this world but this time using new ways of proceeding. 5. Another fascinating aspect is the boiling scientific questions about what it means to learn, to understand, how children learn, scientific reasoning, etc. The concept of intelligence is multi-faceted, it is true that machines can do tasks that cannot normally be done by man and we cannot explain how. However, from a personal point of view, I find that it is very man-centered and that we want to imitate man when there are also means of communication in nature between species such as trees for example, with incredible cognitive abilities and many animals such as cephalopods with abilities that we do not possess. 4. The fact that there is so much money at stake and so many fantasies that there may be overexposure — be careful, I’m not saying it’s not right to talk about it, it is crucial — but other subjects also deserve to be more exposed to the general public such as the advancement of technologies like CRISPR/Cas9 the need of energy, etc. From an economic point of view, the world is reorganizing around AI; China, Russia and the United States are investing a lot. As a European, I think we must be vigilant, we have neither GAFAM nor BATX and we must therefore position ourselves, be strong and united, to avoid the risk of decommissioning. 5.Finally, we can fear a greater dehumanization of society and an overly automated world with a loss of social connection and less human contact. We already see it, people constantly stuck their phones, we talk with chatbots, etc…. Intrinsically, we are part of biodiversity and we need to interact with our fellow human beings and with our environment, nature, other species, etc… and recognize that well-being or happiness is not synonymous with more technology. I plan to spend a lot more time on this. For the time being, I am very involved in the open software community, because I think it gives the possibility for collaboration across the world and provides access to educational resources. It also makes it possible to transfer research results very quickly, to stimulate progress and to ensure reproducible work. In addition, I also participate in actions with Forwards (http://forwards.github.io/), an organization that supports diversity in open source, and helps increase the participation of women and underrepresented communities. I am involved in diversity committees and dedicated coding and teaching sessions on ensuring that the environment is benevolent and that scientific conferences are welcoming for all. I also help with the implementation of code of conducts. It’s nothing huge for the moment, but I think that since we have already helped a few people, it’s on the right track. Many things are incremental and the people we helped will potentially have the opportunity to help other people and in the end, we will have participated in something bigger. Communication, transmission of information and education are crucial. It’s a job I do with many other volunteers who are very active and committed, and who are often not known or recognized for what they do, despite the major roles they play. What is certain is that the fact that there are fewer of us also means that we are more solicited. In addition to the teaching and research work, we will be asked more precisely to participate in communication actions to help high school girls for example, to participate in congresses (to demonstrate that there are also women in the field), to participate in committees due to quotas, and more. There are often multiple requests and it is always hard to refuse because most of the time it is for very good reason. However, we must not forget that the workload can be daunting, and that we need energy and enthusiasm to do things in the best way. So I would say that you really have to learn to say no to certain things, and that’s hard for many of us. In addition, you should never hesitate to ask for help. I would also say that working in this industry is often passionate work, there is no limit and it is part of our lives and that therefore we can very often neglect to enjoy the other facets of life or even feel guilty when we are not working. I really love what I do, but in the end, I never regret good times with family and friends. So have fun, go on walks, and discover the world or whatever is good for you. Finally, you have to try not to lose confidence, not to feel like you aren’t up to the task, not be afraid of judgments, and not to let yourself be stepped on. Also do not censor yourself and don’t be afraid to approach even eminent personalities, often people are very kind and willing to share. One important point is always to maintain your scientific integrity. Can you advise what is needed to engage more women in the AI industry? It’s hard because it’s more related to social problems than problems related to AI in particular. Some of the issues come very early, from kindergarten or primary school. A friend told me the other day, we should start disguising all the little girls as pirates and not as other things to let their adventurous side express itself and we will see the result…I really like this idea. Otherwise, doing everything possible to facilitate women’s access to this type of employment would help because in this way, there would be more examples for future generations. I also think that it is important to encourage the data science and tech community by giving talks about AI at larger conferences and for other disciplines, so that more women are introduced to it and it will create pathways into AI from different fields and backgrounds. Ah this is tough, I have many… and I am (a bit) indecisive. I like ”Work hard, play hard“ because I think that it is crucial to have fun and to enjoy life on a daily basis (it is easier of course to say that in some situations when we are very lucky). Then, “stay curious, ask questions” because there are so many amazing things to discover. I also like “be yourself and smile”. You are a person of influence. If you could start a movement that would bring the most amount of good to the most amount of people, what would that be? You never know what your idea can trigger. Ah…not an easy one. There are many activities or challenges, such as “dataforgood” type activities that are organized to try and help solve societal problems or to help populations in difficulty. I believe that we should dedicate at least one day to be “the day of good”, where all the people of the world who have AI skills try to analyze and help out on these types of subjects. A global collaboration that could be supervised by large institutions such as the United Nations. The difficulty being that, in order to be operational, you really have to involve local people. I think a lot of solutions are “bottom-up”. So in the meantime, maybe I would like to help with the creation of associations like The Dorothy Jemison Foundation, and raise funds to help support more education on all fronts and to help the different channels and podcasts of scientific popularizations. Readers can feel free to learn more about my research via my personal research page (http://juliejosse.com/) or by following me on Twitter (@JulieJosseStat).